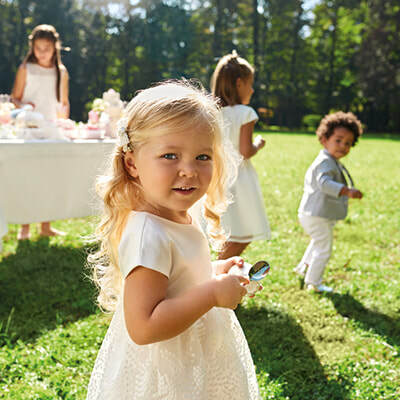 Brums is one of the most famous and popular brands in the children's wear sector, as well as the pride of Preca Brummel production in Italy and abroad. Brums is aimed to all mothers who look for sophisticated and elegant style for their children. Born in 1974, Mek is one of the historic brand in Preca Brummel portfolio, is a gutsy and modern brand. The Mek collections, inspired by streetwear but with a fashionable and sporty look, are designed for children and kids from 2 to 16. Bimbus is cheerfulness, liveliness, entertainment. Collections realized for children and for young boys needs (from 0 to 14 yrs), who are always moving and for mums who look for modern but practical, versatile and easily combinable style. Jbe was the ‘coolest’ Brums line, created to meet older boys’ demands and preferences. Collections wink to the older ones of the world of fashion and they stand out for their trendy, refined and comfortable style. Thanks to the romantic meeting between a tender girl and Preca Brummel, was born a proposal exclusively dedicated to female universe. Gorjuss - a tender girl who is the brand icon, specially designed without nose and without mouth - is the spokesperson of a deep and important message: there are no physical or other obstacles and barriers that prevent to communicate. Suomy was born in Italy in 1997 as racing helmets line. ‘Safe is a mental expression, a need strictly related to speed, to races and to pure adrenaline’. By pursuing this philosophy, Suomy became leader in its sector, adding the technical clothing production for motorcyclists to its core business. Suomy kids new collection, became strong, thanks to the obtained success during the two previous seasons, speaks directly to youngs! 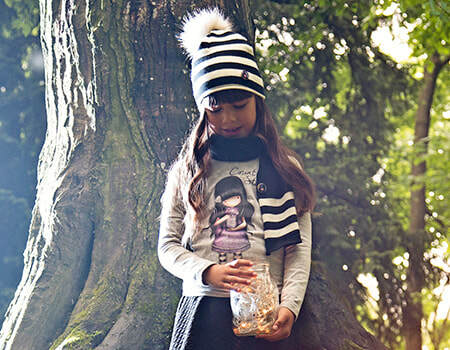 Suomy kids is a charachter collection with strong and unmistakable personality, with its brand always in evidence. MCS - historical brand of men’s clothing - starting from F/W 2015/16, had a collection dedicated to children from 6 months to 16 yrs for the first time. A classic but ‘rugged and refined’ look and small Rider icon, has been also produced for the youngest ones. As for the adults, also junior line was inspired to the American style mixed with the Italian design. Two histories with a different past, but with the same peculiarities: passion, Italian style, innovation. In line with the spirit of FIAT 500, Preca Brummel S.p.A. launched the collection dedicated to the timeless car, which is small in size but considered a great symbol of design and innovation. Jackets, sweatshirts, long-sleeve shirts and printed t-shirts depicting the legendary 500.